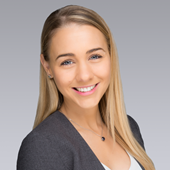 Serving the South Florida offices, Caitlin transforms geospatial data into maps and narratives to aid decision-making for both landlord and tenant clients. She collaborates with Colliers research and marketing specialists to create compelling visual content for pitch books, presentations, and reports across all asset-types and specialties. Prior to joining Colliers, Caitlin was a GIS Specialist at Calvin, Giordano & Associates, Inc. serving the City of Weston. In that role she worked with the city’s database that contained over 60,000 city-owned features, created and maintained interactive story maps as well as web apps to enhance the city’s engagement with the public. Prior to that she worked for Gridics: Real Estate & Zoning Analytics. There she maintained a database of Miami-Dade real estate developments and researched property information and building plans. Additionally, she served as Intelligence Analyst for the US Southern Command of the US Navy. While there, she provided customized analytical reports to create actionable recommendations and was selected as Enlisted Person of the Year. 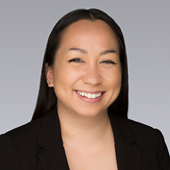 Caitlin earned a Bachelor of Arts in Economics from Florida International University and a Graduate Certificate in Geospatial Technology from the University of Miami, with a focus on spatial analysis, web GIS, python programming, and remote sensing. As Research and Consulting Manager in the South Florida market, I apply my experience in analytics, leadership and international business to monitor the global economy and make projections that help guide our brokers and clients in strategic decision making. My expertise in both leasing and investment sales ranges across multiple asset types including retail, industrial, office and multifamily. Prior to joining Colliers International, I worked for The Washington Economics Group, Inc., where I led a team of eight economists as Manager of Client Services to prepare detailed economic impact analyses of a number of high-profile transportation and real estate projects in South Florida, including SkyRise Miami and All Aboard Florida. Other notable South Florida clients that I have worked with include Tate Capital, Odebrecht, Miami-Dade Expressway Authority and the International Speedway Corporation. Prior to moving to the United States in 2011, I graduated from law school and was a data analyst for Equity Insurance in Brentwood, UK. I am active in the commercial real estate community through multiple organizations and committed to strengthening the participation of young leaders in the real estate sector through my current role as Co-Chair of the Urban Land Institute’s Young Leadership Group. I also have a strong passion for teaching and mentoring students to help prepare them for careers in commercial real estate. I served as an adjunct professor for Miami Dade College School of Business teaching Principles of Management to undergraduate students pursuing their Bachelor’s degree in Business Administration and have recently served as a guest lecturer at Florida International University’s Tibor and Hollo School of Real Estate teaching market research skills to graduate students in the Masters in Science in International Real Estate (MSIRE) program. While earning my MBA at St. Thomas University, I served as president of Future Business Leaders of America - Phi Beta Lambda and spoke numerously on business and women career issues. St. Thomas University awarded me with the Outstanding Graduate Award and the Women in Leadership Award in recognition of these efforts. 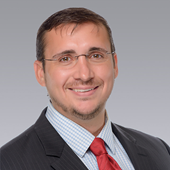 Mike is a GIS (Geographical Information Systems) and Market Research Analyst with Colliers International Tampa Bay Florida. Using the latest in GIS technology, he provides client specific solutions to complicated real estate problems. Mike specializes in combining the latest demographic data with state-of-the-art mapping technology to produce compelling visual representations of of the current market, primarily for the retail site selection process. He is dedicated to enabling Colliers International Tampa Bay Florida's forward-thinking clients to act on a location before their competition.